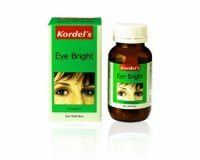 Kordel’s Eye Bright is a herbal combination of bilberry, eyebright, fennel and cayenne specially formulated to promote healthy eyes and vision. 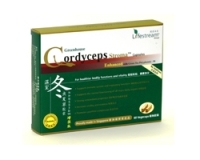 It reduces eye strain by improving circulation and photosensitivity of the eyes. It contains natural antiseptic properties and helps reduce eye inflammation. Recommended for people whose profession requires good vision as well as users of spectacles and contact lenses. Take 1 to 2 tablets a day, after a meal. Or as directed by a healthcare professional. Contains no added sugar, starch, yeast, gluten, salt, artificial colouring or preservative. This product is packed in a glass bottle to protect the quality of the nutrients in trpical climates.